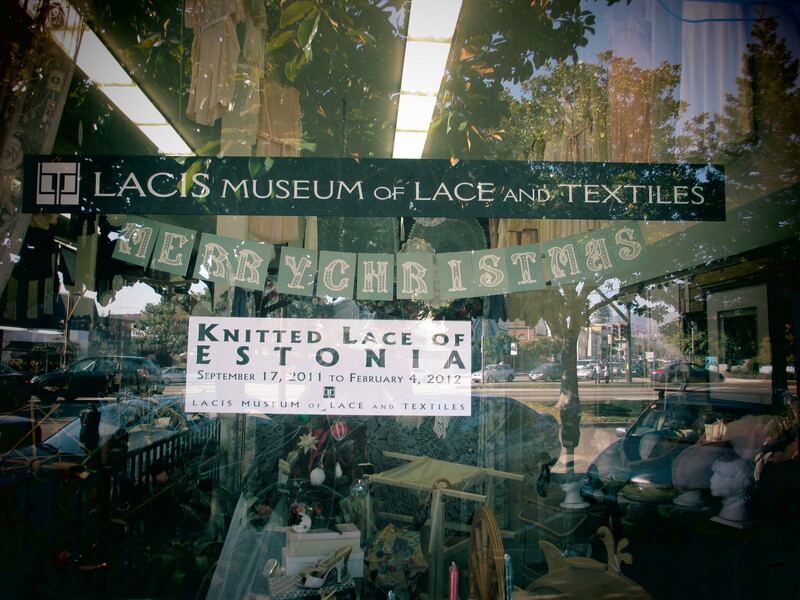 knitorious and Knit Interest Clique trekked up to the East Bay to catch a glimpse of an Estonian Lace exhibit at Lacis Museum of Lace and Textiles in Berkeley, CA. Pieces of the lace were displayed on a black background hanging from the ceiling of the museum. In order to re-charge for their next stop, the group had a delectable lunch at Fatapples in Albany. Driving down the infamous Telegraph Avenue toward Oakland, Article Pract appeared in all its glory. In the window display, a knitted shawl using Prism yarn sparkles with beads, as it gracefully drapes over the shoulder of the store mannequin. Color and texture decorate the walls from floor to ceiling with soft lighting enhanced by sunlight entering the street window. 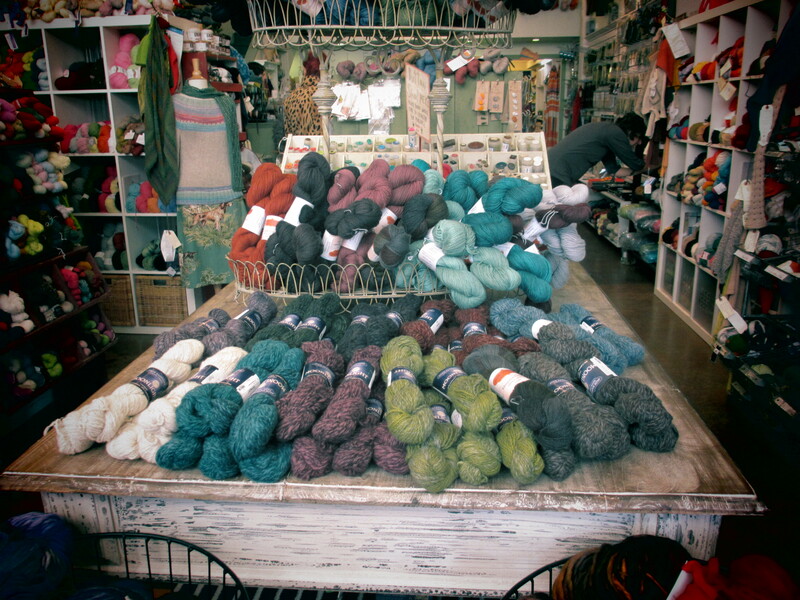 Yarn, buttons, silk ribbon, books and notions embrace the savvy knitter. The knitters-in-residence are welcoming and helpful.